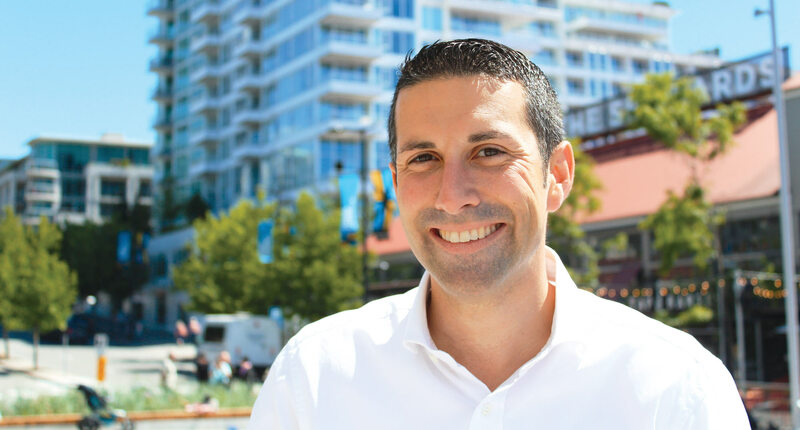 Tony Valente brings a unique combination of skills, experience and passion to his candidacy for City of North Vancouver council. He is a seasoned project and risk management leader, urban thinker, and community volunteer. A graduate of both St. Thomas Aquinas Regional Secondary School and the University of British Columbia (BCom, MBA), Tony spent three years working in logistics and product management for Whirlpool Europe, in Milan, Italy. Upon his return to B.C. in 2007, Tony completed his MBA in Strategic Management & Accounting from UBC’s Sauder School of Business. Through his work over the past decade in the public utility sector, Tony has moved into increasingly responsible roles, contributing to improvements to quality of life for all British Columbians. Since 2010, Tony has also given his time to his community — first by serving on his strata council, and subsequently in a series of advisory and committee roles with the District and City of North Vancouver. A proponent of public spaces for people to enjoy their city and streets — making our community a place to gather and celebrate in the outdoors — Tony was a founding member and Director of the North Van Urban Forum, a non-profit organization addressing urban issues and encouraging consultation and transparency on the North Shore. The group organized Project Waterfront: North Van Design Jam to stimulate discussion and engagement with citizens on the future development of Lot 5, a city-owned property close to Lonsdale Quay. Tony’s other passion is transportation. As Chair for the HUB Cycling North Shore Committee, as well as in a variety of other local volunteer roles, he has worked with the community on cycling infrastructure and safety improvements for all ages and abilities, as well as e-bikes, ride-sharing, and a variety of other active transportation issues. Tony and his wife Elena live in Lower Lonsdale, and when not devoting most of their time to work and volunteering, they enjoy traveling the world looking for ideas for how to make our city even better! For an independent voice, consider voting for Tony as your City of North Vancouver council member.